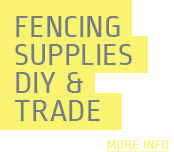 At The Fence Place we are your local Central Queensland specialists in the supply and installation of all types of fences and fencing products. Established in 1992, our team have over 24 years experience in producing top quality fencing for a variety of needs. We have specialised fence installers throughout Central Queensland. No matter how big or small the job is we aim to exceed your expectations on quality, timeliness, service and price. 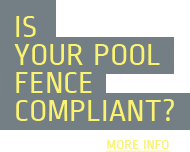 From domestic fences to brighten up your home, safely secure your pool or for added privacy and security, to commercial and industrial property development, we are sure to have a product that suits your fencing needs. We also manufacture gates to suit any style, colour or size. Add value to your home, provide privacy and security for your property and your family in one easy step ... a new fence from The Fence Place. Call us today for your custom made gate or fence for your home or business. We can arrange an onsite inspection with our qualified Sales Representative, or simply visit our showroom for ideas or email your design and photos for a full quote.